I’ll start with how to get discounted tickets and then I’ll share the highlights of the party for us and my tips for having the best possible experience. Mickey’s Not So Scary Halloween Party is a special “hard-ticketed” event at Magic Kingdom. This means a regular theme park ticket will NOT get you in – a special party ticket is required. I was pleased to discover that the tickets to the Halloween party are much cheaper than tickets to the Christmas party! Tickets start at only $79 for adults and $75 for kids – IF you get them in advance. The lowest cost parties are in August and September and on weeknights, which includes Sunday nights. The most expensive party is Halloween night which will cost $55 MORE per ticket ($135 adult)! Generally, parties on weekend nights will be the most crowded and the most expensive. 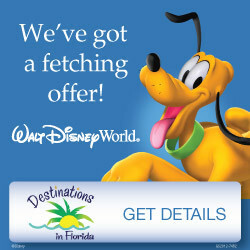 As long as it is at least one day in advance, you can still get discount tickets from Disney here. On the day of the party, you can get full-price tickets on the Disney website and have them linked to your Magic Bands, or buy them when you get to Magic Kingdom at a ticket window. 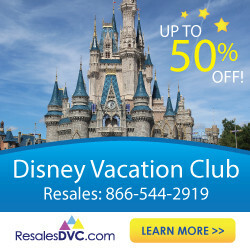 Annual Passholders and DVC Members get slight discounts as well, with advance tickets starting at $70. 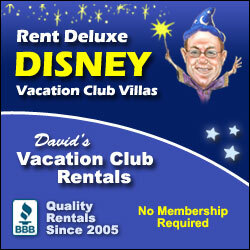 Book through the Disney site to get your discounts. You can enter the park as early as 4 pm with your party ticket; they started letting folks in at about 3:50 at our party. After you scan your ticket you will be given a special party wristband. The park closes to day guests without a party ticket at 6 pm, so anyone without a wristband will be ushered out. The party begins at 7 pm! This is when all of the special events of the party will start. Official party hours are 7 pm – 12 am. The party events wrap up at midnight with a final showing of the villain stage show. On to the highlights and tips from our visit! Here’s the first of my tips: The best time to ride attractions with little wait is between 6 and 7 pm! We rode Big Thunder Mountain Railroad three times in a row and rode Splash Mountain in this hour. I suggest grabbing something to eat for dinner before 6 pm so you can make the most of it. There aren’t any Fastpasses available during the party but you shouldn’t need them since many guests are taking part in the other elements of the party. If you want to ride popular attractions such as Seven Dwarves Mine Train, the other best times are during the first parade, fireworks, and during the last hour of the party. I’d imagine that for many kids the highlight of the party is trick-or-treating around Magic Kingdom. I know it was for my kiddo! When you first enter the park you will be directed to the side of Main Street USA and be given a trick or treat bag. Then you’ll get your first trick or treating stop and will be handed about six pieces of chilled candy! This begins at 4 pm, even though the party doesn’t officially start until 7 pm. There are 16 designated candy hand-out locations all around the park which are marked by these large blow-up signs. The lines for candy at these stations were extremely long from 7 – 8:30 pm. I would suggest waiting to hit them up until after that if you can! There is also candy handed out after some headliner attractions. We were given candy when we got off of Splash Mountain and Buzz Lightyear Space Ranger Spin (I’m sure they give out candy after other attractions as well). This candy should be enough to tide the kids over until later when the treat station lines die down! Here is a sampling of what we got – it was really good candy! If anyone in your party has a food allergy, let the cast members know when you pick up your bag. You will be given special colored bags that indicate you need allergy-friendly candy. Cast members at the candy stations will give you tokens you can redeem for safe treats at Liberty Square Ticket Office and Town Square Theater. The Hocus Pocus Villian Spelltacular stage show is not-to-be-missed – even with little kids! It involves projections on the castle, singing, dancing, and some pyrotechnics. It occurs three times nightly at parties until September 28th (8:30, 10:45, and 12:00) and at parties after that four times nightly (7:40, 8:35, 10:45, and 12:00). I estimate it lasted about 15-20 minutes. My five-year-old daughter loved seeing all the villains dance! We arrived at the first nightly showing only a few minutes before the show began and were able to find a place to watch fairly close to the stage on the right side of the castle. We loved the special fireworks show at Mickey’s Not-So-Scary Halloween party – Happy HalloWishes. It occurs nightly at 10:15 pm. We were able to snag a decent spot to view on Main Street right before the show began. It contains projections on the castle, villain songs from a bunch of Disney movies, and unique Halloween-themed fireworks. One of the highlights of the party is checking out all of the other guests’ costumes! This was probably my favorite aspect of the party. Normally adults can not wear costumes in the theme parks, but the Halloween party is the exception. If you want to dress up, check out the regulations from Disney regarding costumes during the party here. Take time to enjoy a special Halloween-themed treat while you do some people-watching. We got this Maleficent ice cream cone (she’s our favorite villain) at Storybook Treats for $5. It was lime soft serve in a chocolate cone and we really liked it! We left the party after the fireworks show so there was a lot we didn’t have time to do at the party. Mickey’s Boo-To-You Halloween Parade takes place twice nightly at 9:15 pm and 11:15 pm. See characters dressed up in their special costumes and the Headless Horseman starts the parade! The second parade is often much less crowded. Special Character Meet & Greets are available throughout the park until 11:30 pm. Pick up a guide map at the party to find all of the locations. NEW! Halloween Dance Parties take place in Tomorrowland (Monsters, Inc themed) and Fantasyland (Disney Jr. characters including Vampirina). I hope this post helped you plan for your visit to Mickey’s Not So Scary Halloween Party in 2019 or inspired you to put it on your Disney bucket list! If you happen to be visiting Disneyland during the Halloween season, check out this post for 15 Spooktacular Reasons to Experience Disneyland Halloween! Any questions? Please leave a comment below or join the discussion in The Budget Mouse free private Facebook group! Thanks for the info Leah! This is definitely on my bucket list! I am ready to start planning a trip with my grandson for fall of 2019 that will DEFINITELY include the Halloween Party! Great article and it’s well written and I loved reading it. Do you know if there is rider switch during MNSSHP? I am planning to go in Aug 2019 with my 6 year old who loves fast rides and a 2 year old. Even though the lines are expected to be 15-20 mins, it would be even better if we don’t have to get on the queue every time when we swap adults. That’s a great question, Marzypan! I would imagine that rider switch would be in effect at MNNSHP. I haven’t used it myself during the party, but I expect you will be able to.